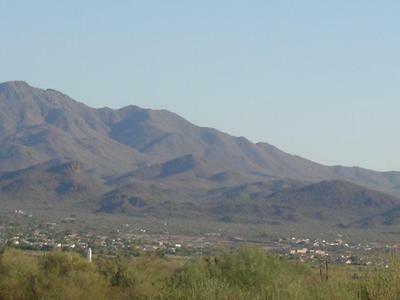 For those living in Marana, if you find yourself needing garage door repairs, there's a great chance you'll look online for somebody who does "garage door repair in Tucson". That's fine ... they're most likely willing to drive to you in Marana. The thing you might ask yourself though (or ask them), is how long will it take them? If you’re locked out of your house because your garage is your only access, (or if your vehicle is stuck inside the garage and you can’t get to work), you most likely want someone there As Soon As Possible! 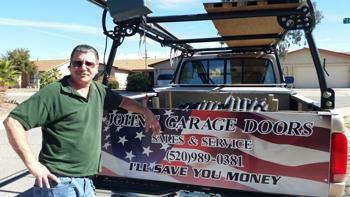 John’s Garage Doors provides repair and maintenance service throughout Tucson and surrounding areas. But the thing is, I live in the northwest part of town and Marana is my backyard - it's where I do the majority of my work. That means there’s an excellent chance I'm not far from you and I can come over sooner than later and get your garage door working once again. Whether there's a problem with the garage door opener or you have a damaged torsion spring, I'm ready and equipped to come help you right away! Obviously prompt service isn’t the only thing that matters… You need someone that you can depend on to not just get the job done right, but to be sincere with you about what is wrong and what it will cost to get things working properly. I’ve been working in the garage door repair business for over 25 years, so I’ve pretty much seen it all and know how to quickly fix pretty much any problem that comes up. It doesn’t matter if it’s an issue with a cable, a torsion spring, tracks, rollers or panels, I’ll diagnose and quote you a fair price very quickly. 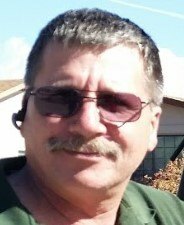 Since I run such a small operation, (it’s just me, John the owner), my costs are low and I pass those savings on to my customers. That keeps customers happy and me busy with referrals! When I show up to work on your garage door problem, you’re not going to see a big fancy truck with a custom paint job (just on the tailgate like you see here). You will not see my name on TV or up on billboards all around the Old Pueblo either. I have grown my business through hard work, fair pricing and strong word of mouth advertising and referrals. I'm positive that a single service call by me at John’s Garage Doors will be the only call you'll need to make to get your garage door working once again. Broken Garage Door Spring? Call "Marana (John) Mucciacciaro"! What might surprise many people is that a broken garage door spring is a common occurrence. It's really not a question of if it's going to happen to your garage door, but when. Garage door springs help to raise these massive doors that can weigh in at 400 pounds (as well as lower them under control). As you can imagine, these springs are under a lot of tension and have a typical lifespan of around 10,000 cycles (meaning opening/closing your garage door 10,000 times). At some point, they just give out and break. When that happens, it really is best to simply call a nearby professional to take care of things for you. Some people opt for the DIY approach, but considering the hassle and danger of the installation as well as possibly doing it incorrectly, ask yourself if it's really worth it? Being that I live so close to Marana, I can usually respond to a repair call very quickly. The best thing you can do is just pick up the phone and give me a call and check! 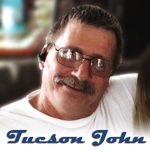 Call me today for the best, most affordable garage door repair in Marana! Q&A: Are One Piece Garage Doors Safe? Question: I live in Marana and several houses, including mine, have the older style one piece garage doors. It's a very heavy wood door, and when you open it it "pivots" outward and up. I think it is original to the house (built in 1986). I have a genie pro screwdriver garage opener which is about 15 years old. Recently my grandma brought up the concern that these garage doors are not safe. There are two springs located on each side of the door which stretch up when the door opens. She said a spring could snap when the door is going up, and the high tension could cause the spring to fly into someone, injuring or even killing them. I think this sounds a bit far-fetched to me but I just want to be sure. Would you recommend replacing the door? It is probably about time anyway, the door is starting to get rotted and sun faded. Also would you recommend buying another genie brand opener? The one we have now has worked great but is very noisy. Thanks! First, contrary to what someone may have told you, you can't really "repair" the door since the door is actually functioning the way it was originally intended. Solid one-piece doors (or "kick out" doors as we call them) can't be converted over to a different spring system because the other two most common spring systems are intended for sectional panel doors. As for safety, there are very few manufacturers left in the world that make this type of garage door anymore largely due to safety issues. It's actually due less to the spring breakage concern and more due to the fact that all of the moving parts are near the floor and easy for someone to get tangled up in and injured very badly - and yes even killed. The thing is, springs will break on any type of door BUT all modern doors are required to have certain safety measures that greatly minimize the chances of a spring actually flying off and hitting anything when it does break - if properly installed. As for Home Depot and a Genie opener. The old saying applies, "you get what you pay for." I've been around thousands of doors over the years and, personally, if I had the money in my budget I would stay away from the cheaper "big box" store doors and even Genie openers. If it wasn't in my budget, I'd be tempted to save up a little more before I purchased. You can find more info here on our website but basically: your Marana Home Depot type doors are all made by the same major manufacturers that sell to professional door dealers (such as Clopay) except they are the cheaper product line. To get "pro" door quality you have to go to a dealer. Genie openers? They get the job done but we don't carry them for one simple reason - we put our name behind what we sell and if it breaks a lot, we look bad. Don't get me wrong. There are Genie units out there like yours that have lasted for years but our experience with them has led us to choose another brand to carry/sell. We want to carry the best. 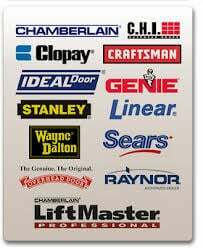 We carry LiftMaster/Chamberlain products. They're the industry leader for a reason 🙂 And we've never had a problem with any warranty service.